Deneb, Alpha Cygni, is the brightest star in Cygnus constellation and the most distant of all first magnitude stars. Deneb is a luminous blue supergiant. It is one of the stars that form the Summer Triangle, along with Altair in Aquila constellation and Vega in Lyra. 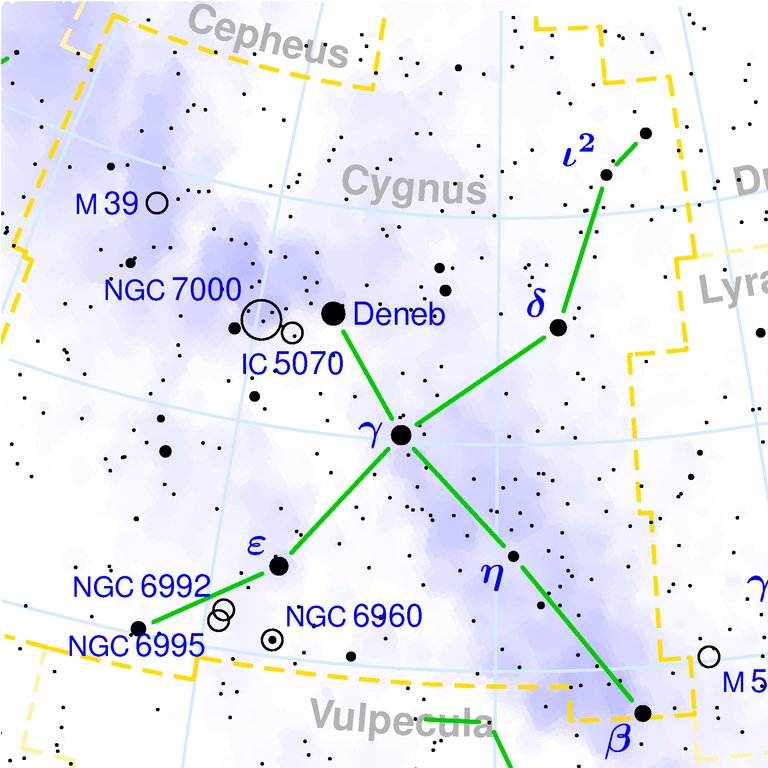 Deneb is also the brightest star of the Northern Cross, another prominent summer asterism found in the northern skies. Deneb has an apparent magnitude of 1.25 and is located at distance of 3,550 light years from Earth. It is the largest and most distant of the three bright stars that form the Summer Triangle, and also by far the most luminous, with an absolute magnitude of -8.38 and luminosity about 196,000 times that of the Sun. 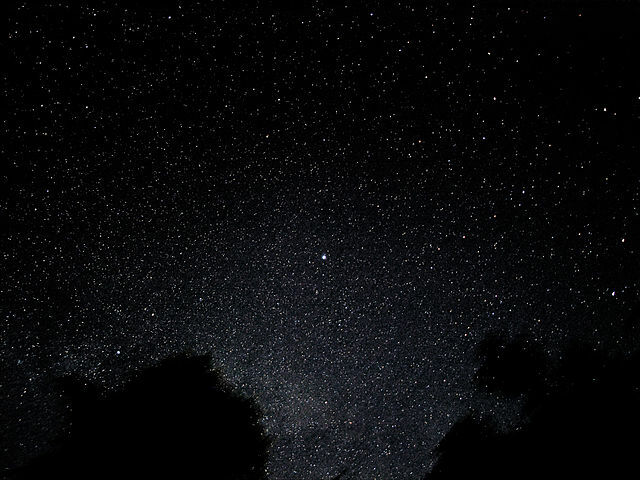 The star has a surface temperature of 8,500 K.
Deneb is the 19th brightest star in the sky and the easiest of the three vertices of the Summer Triangle to locate because it is part of the Northern Cross. Cygnus constellation itself is sometimes referred to as the Northern Cross, much like Crux in the south is known as the Southern Cross, even though the constellations contain more stars than those forming the asterisms. The Northern Cross is by far more distinctive and larger than its southern counterpart. The name Deneb is derived from the Arabic dhaneb, which means “the tail.” Alpha Cygni marks the tail of the Swan constellation, with the bright double star Albireo, Beta Cygni, marking the bird’s beak. A notable deep sky object, the black hole Cygnus X-1, is located near the middle of the swan’s neck. Names similar to Deneb were given to a number of bright stars that mark the tail of the animal their constellations represent, from Deneb Kaitos in Cetus (the Whale) and Deneb Algiedi in Capricornus (the Goat) to Denebola, the second brightest star in Leo (the Lion) constellation. Deneb belongs to the spectral class A2 Ia. It is a blue-white supergiant, and one of the most luminous stars known. Among the 30 brightest stars in the sky, Deneb is by far the most distant, by a factor of almost 2. The star’s estimated diameter is 100 to 200 times that of the Sun, which makes it one of the largest A-type stars known. Deneb is the prototype of a class of stars known as Alpha Cygni variables. These stars exhibit non-radial fluctuations of the surface and as a result their spectral type and luminosity change slightly. Image showing the approximate size of the Sun relative to the much larger Deneb. Estimates for Deneb’s radius range from 200 to 300 times that of the Sun. 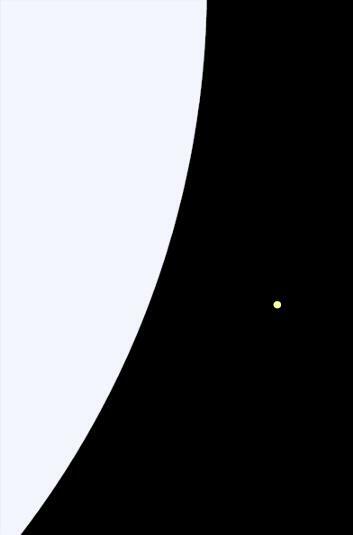 This image splits the difference and shows Deneb with a radius 250 times that of the Sun. The star has a mass about 19 times that of the Sun. It will have a relatively short life and probably go out in a supernova explosion within the next few million years. In its current phase, Deneb is likely expanding into a red supergiant. It is losing mass at a rate of 0.8 millionth of a solar mass every year as a result of a strong stellar wind. Cygnus constellation represents the Swan. In Greek mythology, the constellation represents Zeus, who turned himself into a swan to seduce Queen Leda of Sparta. In another version of the tale, Zeus turned himself into a swan to trick the goddess Nemesis into giving him shelter. The two had an affair and Nemesis produced an egg which was then given to Leda by Hermes. It was said that Leda’s daughter Helen hatched out of the egg. She later became famous as Helen of Troy. In the better known version of the myth, Zeus seduced Leda, who was married to King Tyndareus, and she gave birth to two sets of twins: Helen and Clytemnestra, and Castor and Polydeuces. Helen and Polydeuces were the immortal children of Zeus, and Clytemnestra and Castor were Tyndareus’ children and therefore mortal. The twins Castor and Polydeuces are represented by Gemini constellation, where the two brightest stars are named after them. Polydeuces is usually better known by his Latin name, Pollux. Distance: 3,550 light years (802 parsecs) ?? ?